*NOTE* This field code is now deprecated. Use FCITE which replaces both REFN and FREFN. FCITE returns both US and international citing documents in one query. FCITE has a reverse counterpart, RCITE which also queries both US and international reverse (backward) references. Even though it is deprecated, if you still want to use it, you can use the REFN field code to query patents that cite a particular patent number. When you use it to query a collection of patents, REFN is useful to see who is citing your portfolio. REFN:6000000 --> Finds patents that cite patent US6000000. At the time of this writing, Dyson had 61 US granted patents that are related to vacuum dust handling and filtration. 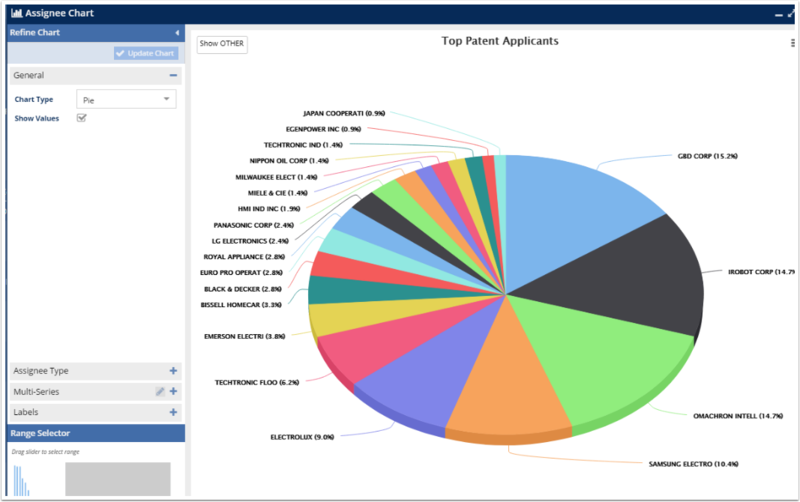 Using the REFN query, and the OR operator between the patent numbers, you get a list of companies who cite the portfolio, and not just a single patent! Notice at the end of the query, I removed self-citations using the short NOT assignee clause. We are looking for outside companies that cite the portfolio. The results of the Dyson query are shown in the example above. I opened the Assignee (Original) filter/facet which hides part of the screen. This is a list of companies who cite Dyson's dust filtering patents the most! 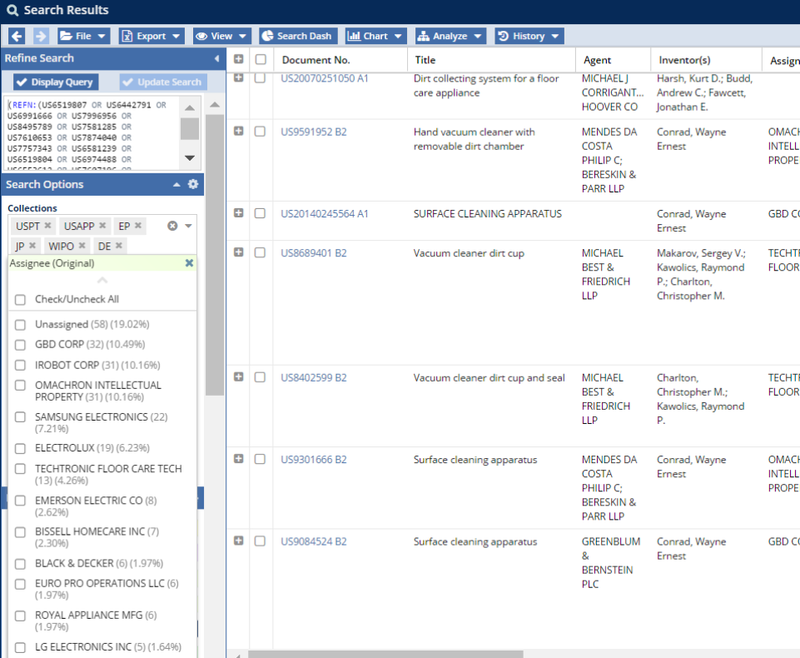 This list can be charted or exported from AcclaimIP, such as the example chart below.